Our primary goal is to help you get rid of all the Pains, Fears, Phobias and Issues in your life. Let us remove stresses from your Work, Life, Friends, Families and from the Inner You. Having a background where I was constantly put through stressful conditions, positions and decision making. I am able to relate how that effects the mind. I will help those who are longing to Lose Weight fast by giving you the ability to change in healthy ways that will respond to your needs. Imagine what it is like finally be be that person you only dream off? Hypnosis and Hypnotherapy can actually help you lose that extra weight. I have played and still play competitive sports, which means I like to keep fit. So I am able to understand how your body works alongside food. As well as day to day living and exercise. This puts me in a great position to give you my experiences so that you can lead that Healthy Life Style you wish for. I will find out what Confidence and Motivation actually means to you. I will work with you to discover precisely where, what, when or with whom you’d like to feel more confident and motivated with. For those people who are longing to Quit Smoking. I will serve as your strong weapon in getting rid of this harmful addiction. I will make it a priority when you wish to overcome you smoking sensation. For those of you who have Fears and Phobias of Water, Insects, Spiders, Snakes, Darkness, Flying, Animals, and many others. It would be all relieved upon undergoing some of the hypnotherapy services we provide. Whatever your Fears and Phobias are, I will always be here to guide you in facing all those Fears with Confidence and Strength. What We Do at TRANCEFORM HYPNOSIS® CHESTER? 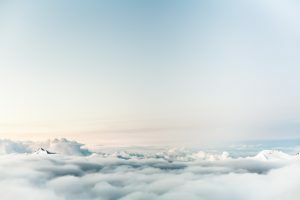 As well as Hypnotherapy, at Tranceform Hypnosis® I use effective Total Neurologic Techniques – TNT, Emotional Freedom Techniques – EFT, along with Neuro Linguist Programming – NLP. 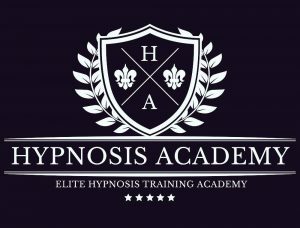 This in conjunction with Hypnosis will assist people with the changing process so that you acquire in your life what you want. Any of the solutions that we provide you would change your life quickly. Allowing you to achieve your life long goals. We are very professional and well-skilled in Hypnotherapy. That is why by seeking our services is an ideal thing to do. Particularly to those who are craving for positive approaches and changes in their life. We offer client centred services and solution focused Hypnotherapy in and around Chester and Ellesmere Port. And if that was not enough being the Course Manager for the Uk Hypnosis Academy and one of the Lead Trainers and Assessors in the famous Kinetic Shift Technique. I find my self in great positions of learning from amazing change work masters from around the world. Which I am able to bring this through my knowledge to not only students but also my practise. We welcome you to be familiarised with some of the healthy therapy services that we provide. For more information and questions, you are always welcome to contact us. The Kinetic Shift Technique is a rapid method combining several different techniques. Resolving Fears, Phobias, Anxiety, Weight-Loss, Smoking and even PTSD and much more. We all know that we can’t express everything we want to verbally. So we use several other methods of communication and that is key to Kinetic Shift. Everyone from beginners to seasoned therapists can use Kinetic Shift. It is so simple and fun, and it can be done anywhere. The PFOA is an Police Emergency Charity, for whom i have been a part of since the inauguration of the Welfare Coaches. Many Police Officers during the course of the career will at some stage receive counselling as a result of work related incident. The PFOA has spoken to officers and their families about their particular experiences with various counsellors. I am proud to be part of an organisation that does not stop at the officer, but also considers the welfare of all their family members.